What Does Red Bull's Formula 1 Steering Wheel Do? 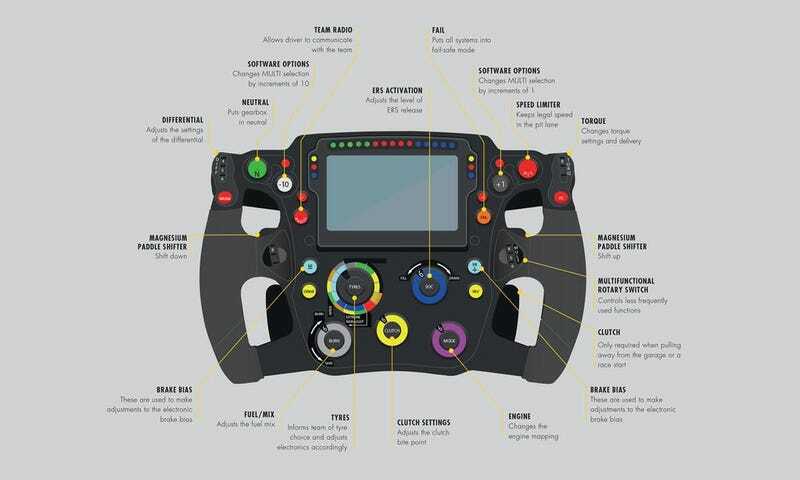 Red Bull Racing have kindly provided through twitter a detailed graphic of their 2015 Formula 1 steering wheel used by Daniel Ricciardo and Daniil Kvyat on the RB11. I'd be lying if I said I wasn't overwhelmed with the complexity of the steering wheel even after Red Bull have so kindly explained it. What Does Red Bull&apos;s Formula 1 Steering Wheel Do?